This fascinating extended article was written by Lloyd P. Provost and R.M. Sproul and reviewed by Edward de Bono and Thomas W. Nolan. 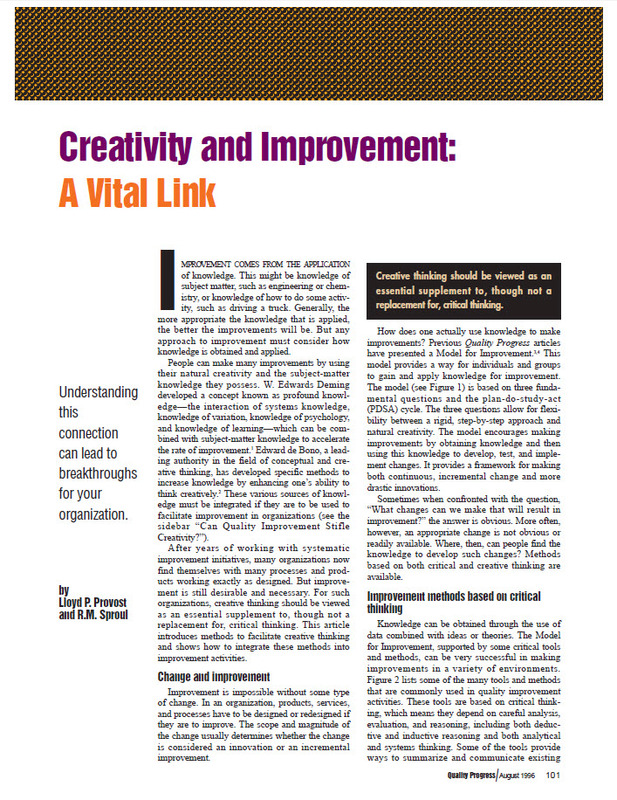 It describes and talks about the improvement methods based on critical thinking, change & improvement, creative thinking tools for improvement, the logic behind de Bono’s methods, provoking new ideas, case study – quality improvement in metal cutting, how escape provocation helps develop a modification to the process, how control charts identify key source of variation, how flow diagrams standardise the process, integration & application and how to tap into the value of creative thinking.